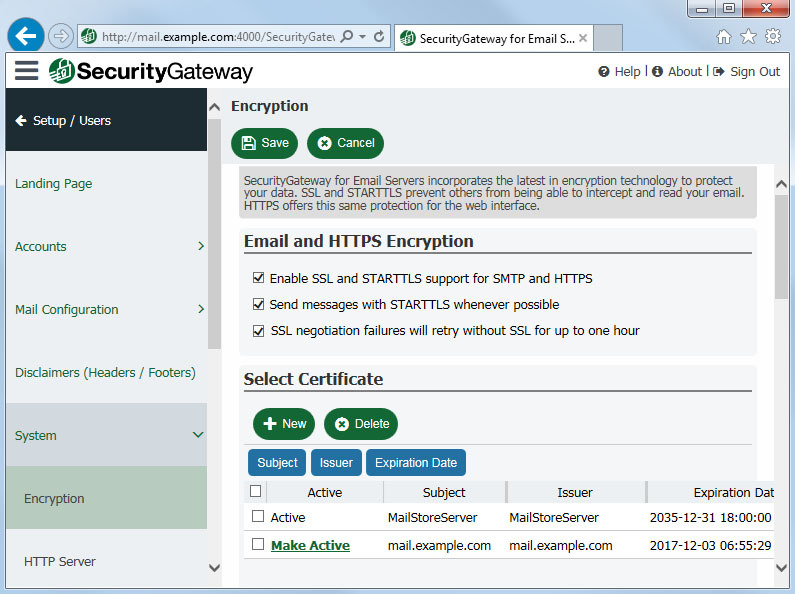 SecurityGateway for Email Servers is an effective email security solution that not only blocks threats from outside of your network, but also from inside. 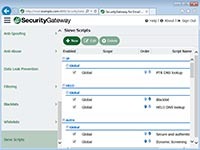 SecurityGateway's data leak prevention and policy enforcement features help ensure that sensitive company data is safe. 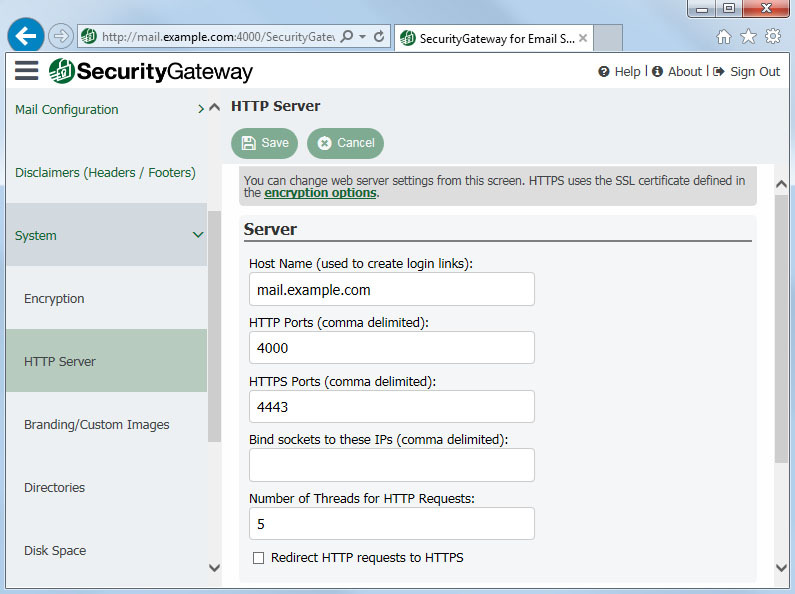 In addition to inbound mail traffic filtering, SecurityGateway also filters outbound email. An easy-to-use interface allows policies to be created which detect and prevent the unauthorized transmission of sensitive information outside of your network. 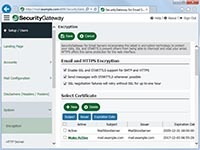 Prevent employees from sending email messages containing sensitive information such as credit card numbers, Social Security numbers, and other types of sensitive data outside of company security policies. The powerful Sieve email filtering language can be used to minimize data leakage of sensitive or proprietary information. Using the intuitive up and down arrows, administrators can prioritize the order of these scripts, or create their own for custom content filtering based on the needs of their specific business or industry. Email traffic can be encrypted using Secure Sockets Layer (SSL) or Transport Layer Security (TLS) for safe transmission of sensitive data. 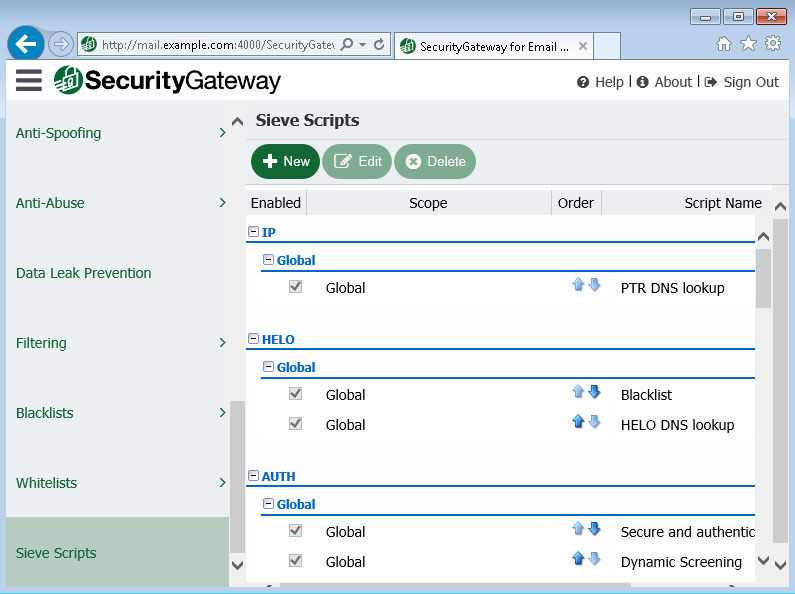 HTTP requests for the web interface can be configured to automatically redirect to HTTPS for encrypted access to SecurityGateway.